I write to entertain. I don't write to promote a message. At least, that's what I used to think, and still think when I'm not really thinking. We all write out of our worldview. I've come to realize that no matter my intentions my characters' flaws and experiences invariably lead to some issue that I care about, that I either have something to say on or that I want to think through by writing about. It might be characters struggling with insecurity or characters struggling to do the right thing no matter the cost. Yet sometimes, I touch on something I haven't thought much about, don't realize I'm speaking to, and then later wonder What on earth did I say about that? Did I handle that situation or issue appropriately? Recently, I've been asking myself those questions. In one of my books, the main character is independently wealthy and generous to the poor, but very ungracious in her interactions with them. She gives money but no kindness. Then, as the result of a curse, she becomes destitute and ugly. She is treated badly, and, though starving, is more desperate for a kind word and loving touch than she is for food. After a while, someone helps her get a job as a humble shopkeeper's assistant. While writing the book, I didn't think too much of this in the light of how we help alleviate poverty and interact with the materially poor. Then enter my recent non-fiction reads: When Helping Hurts: How to Alleviate Poverty Without Hurting the Poor ... and Yourself by Steven Corbett and Brian Fikkert and Kisses from Katie by Katie Davis. 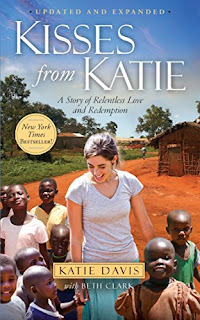 Both books talk about helping the poor, the former through stories and research and the latter through the experience of one young woman living and ministering in Uganda. Kisses from Katie, on first impulse, makes me want to throw money at orphanages and any charity work in Africa, not to mention go volunteer at an orphanage. But is that what Katie Davis is suggesting? Is this the correct response? When Helping Hurts was actually a great intellectual balance to the emotions stirred up by Kisses from Katie, allowing me to see more clearly Katie's experience and perspectives on the best kind of help needed in her area of Uganda. Giving and serving make us feel good but may not help, and may actually hurt those we want to help. Recently, I came across an article on on "voluntourism," and how some tour groups were offering stops at orphanages so people could play with orphans--you know, love on sweet, poor orphans and go home feeling good about yourself, and all that. In reality, many of the children weren't orphans--it was a racket. In cases where the children were orphans, they were as likely hurt by the loving people who came in and then left as encouraged. Haven't they experienced enough abandonment? Then what about the poor, hard-working American parents demoralized, stripped of their dignity, because some well-meaning group gives their kids toys the parents could never afford to buy them? Then there are the mission teams that go overseas to build schools while locals, who have skills and could use the money from the job, stand by watching the inexperienced Americans do the work. This isn't to say that we shouldn't care, that we shouldn't help, that we shouldn't give, that the above-mentioned approaches are always wrong, but poverty is a complex issue. So is helping to alleviate poverty. We have good intentions, but so often we lack the long-term, holistic vision and practical skills needed to truly, lastingly help. It's not straightforward, quick, or easy, but then nothing good is, so that shouldn't be surprising. Alleviating poverty involves dealing with broken relationships (the relationship with God, self, others, and the rest of creation), changing mindsets, getting rid of our own god-complex, recognizing that we may need to step back and let trained locals do the work or give up time to build long-lasting, mutually beneficial relationships with people we'd rather hand money to and leave. And so much more. 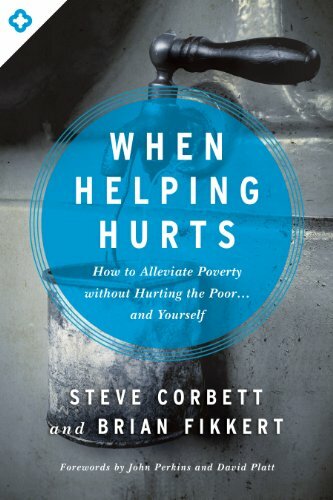 If you're interested in this topic, I highly recommend When Helping Hurts: How to Alleviate Poverty Without Hurting the Poor ... and Yourself. or missionary? Read When Helping Hurts to find out! But back to book- and writing-related themes. When Helping Hurts made me question not only my own attitudes and approaches to "helping" others, but made me question how I had handled the issue in my novel and how I'll address it in future ones. The lessons here are this: writing will force you to address, directly or indirectly, a host of issues; prepare yourself for this by reading a variety of books and thinking through important issues; don't let emotions be your sole guide. Have you ever spoken to an issue in your writing without meaning to and later realized that you'd done a poor, or a surprisingly good, job of it? Have you ever been particularly impressed by, or horrified by, the way an author treated a subject that may have been an incidental theme in the book, as poverty was in mine? Really thought-provoking post, Lizzie. 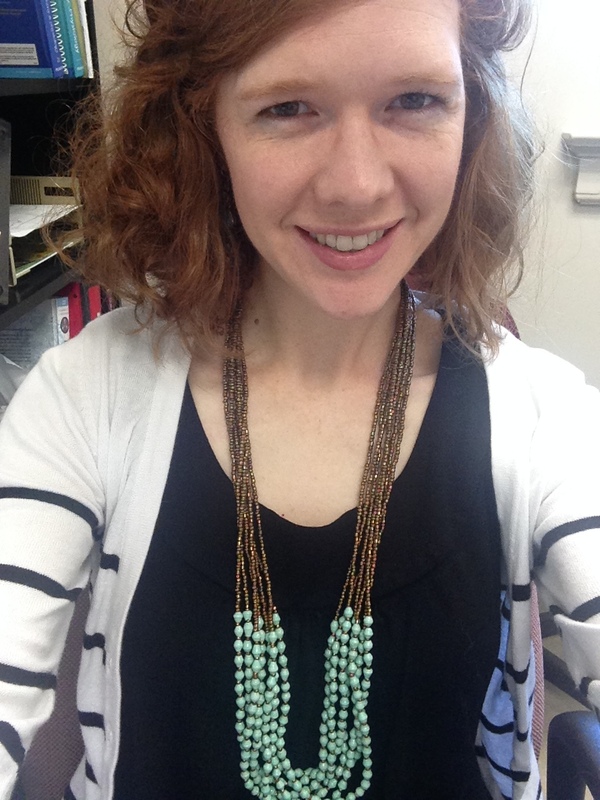 As authors, we're given so much responsibility -- others read out words, take in our message. I try to continually ask for guidance and wisdom when I write, no matter the subject, because I know those unexpected issues will sneak in. I really appreciated this post, Lizzie, I've been thinking about it a lot. You're right that poverty is a complex issue with no easy answers, and it's so easy for well-meaning people to do more harm than good. If it helps, I was really moved by the way you handled the issue in The Beast's Enchantress. I'm very guilty of wanting to throw money at people who need it but otherwise preferring to steer clear, so it was a needed eye-opener for me to realize that being validated as a person could be just as important to someone in those circumstances as getting their material needs met.